Having a pool in your own backyard is a major plus of any property for most homeowners or renters. However, having a pool in your backyard can also be a huge safety hazard. Everyone loves to be able to jump in pool full of beautiful cool blue water on a hot summer day, but no one wants to even imagine or experience the accidents that could occur when you leave a pool unguarded by some type of barrier. 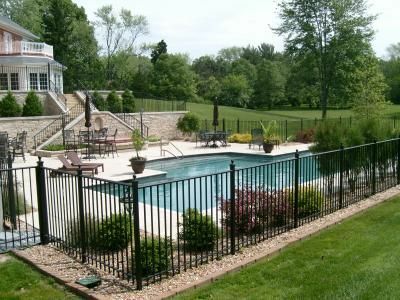 I have complied a list of 5 Inspiring Pool Fence Ideas that are all great options for providing a barrier between your loved ones and the dangers that an open and uncovered pool could promote. 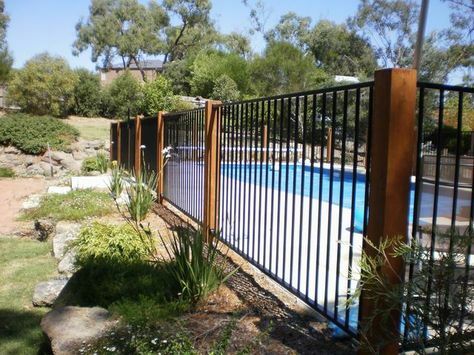 A hot new trend in pool fence ideas that has arisen over the last several years is the use of an ‘invisible’ fence. 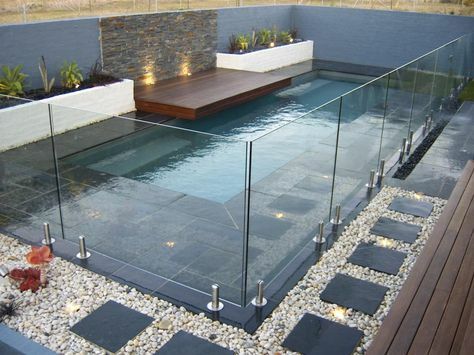 Obviously, no fence could be truly invisible, but through the use of glass panels and sleek modern posts made of metal, your fence is basically see through and does not obstruct your view in to or out of the pool area. 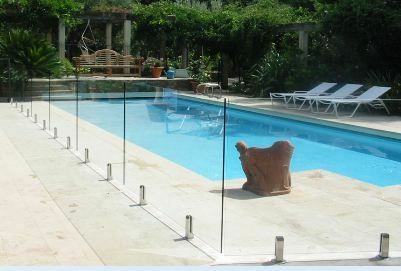 These glass pool fences are great for small pool areas, because when you don’t have a lot of space to work – you usually do not want to make the space seem any smaller or more closed off by installing a bulky or view obstructing fence structure. 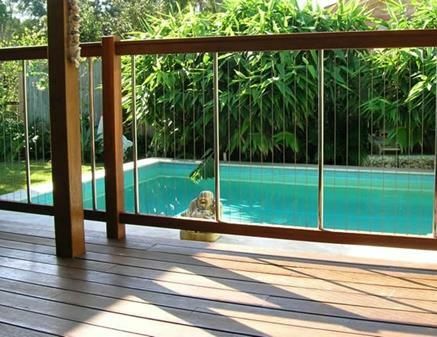 Another type of transparent fence in the realm of pool fence ideas is the mesh fence. 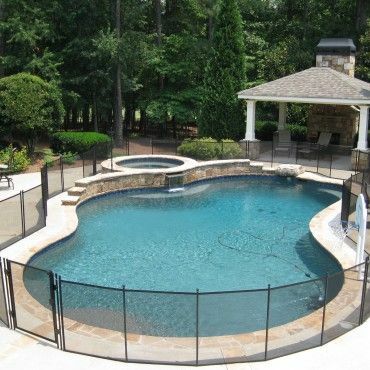 The mesh fence is typically a polyester mesh fabric that is held upright with wooden or metal posts and allows for a temporary or permanent barrier between the pool and yourself. These fences are usually quick and easy to install, and the mesh often comes in a variety of colors. This type of fence is also very sleek and gives the look of a modern design to any space. 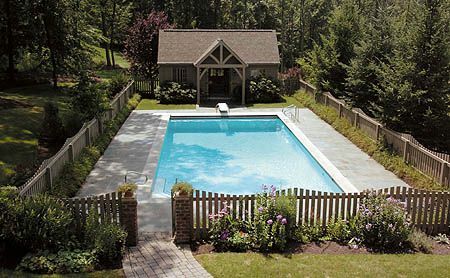 When considering pool fence ideas, the most common one that comes to mind is the traditional picketed fence. 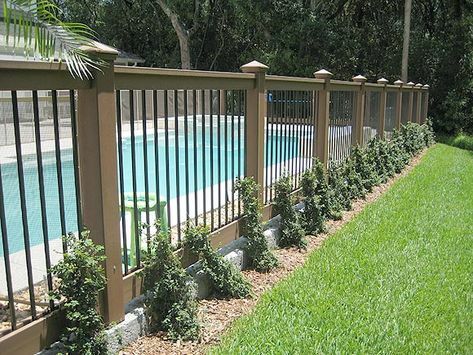 These fences are usually made of metal, fiber glass, wood, or even a durable plastic. There are limitless options for style, color, and size when it comes to the picketed fence. You could make this type of fence fit any design style from modern/contemporary to the most traditional! 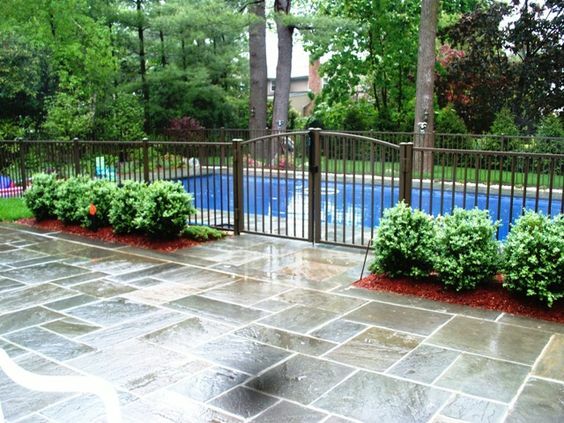 Another option in the world of pool fence ideas is a natural fence. A natural pool fence is any structure that is meant to look as if it naturally blends with the surroundings. A stone fence is a great option for a natural fence. 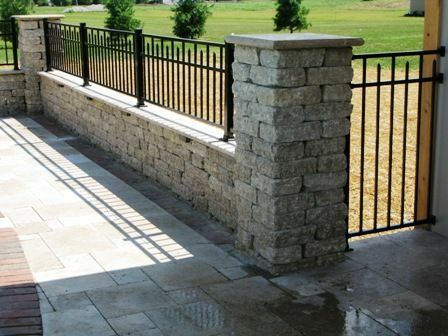 You can find so many different types of stones and ways to build and design your stone fence. 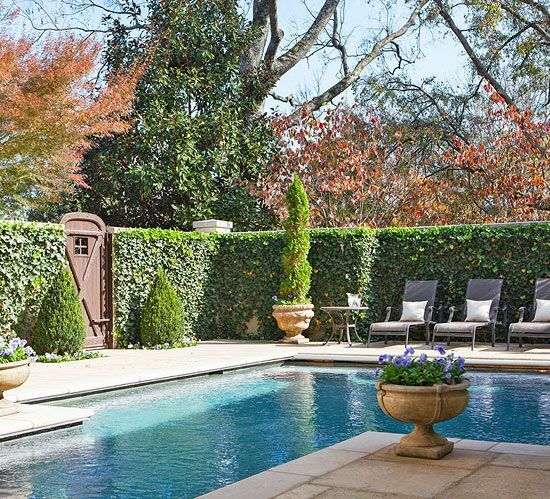 You could also use shrubbery and other plants to surround and protect your pool. 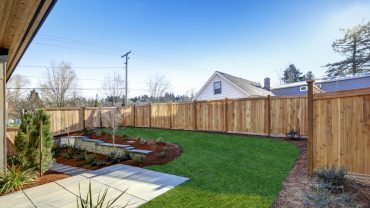 Considering a natural fence design is a great option when you already have some type of unsightly pool barrier in place, because there are even synthetic and faux options for covering unsightly pool barriers with plant like screens. 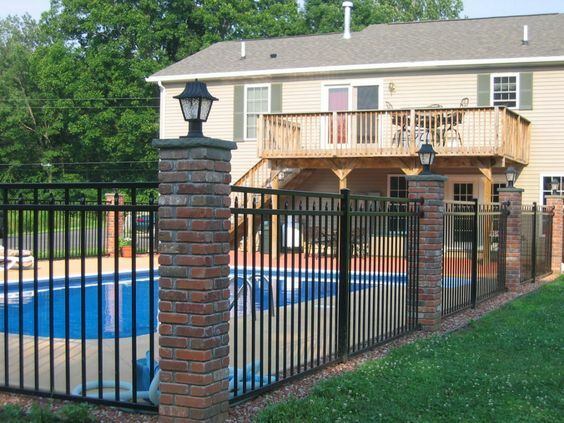 If you have a desire to be stand out when it comes to pool fence ideas, a show-piece fence is the way to go. A show piece fence could range from using art deco blocks for a mid-century modern look to using wooden posts and fish nets! When considering a show-piece fence, don’t be afraid to let your imagination run wild with ideas that suit any theme you want. 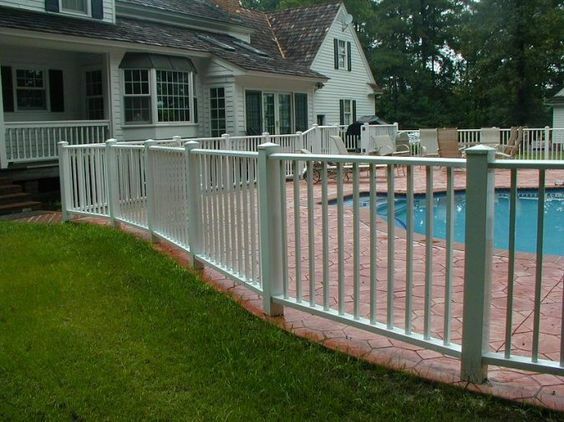 As with any of the pool fence ideas mentioned above, make sure you do your research and find a reputable manufacture and installer so that your fence is constructed and put in place with the utmost of attention to detail and safety concerns. Why? Well, all pool fence ideas could potentially be fantastic for whatever design plan or amount of space you have, but if your pool fence is not durable, safe, and sound, then it will not do the job it was meant to perform – which is to keep people and/or animals from coming to harm by being in the pool unsupervised. 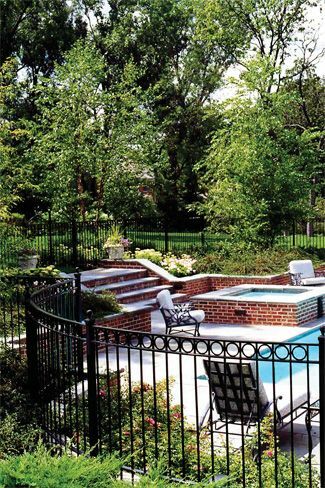 I hope that these five pool fence ideas have truly been inspiring. 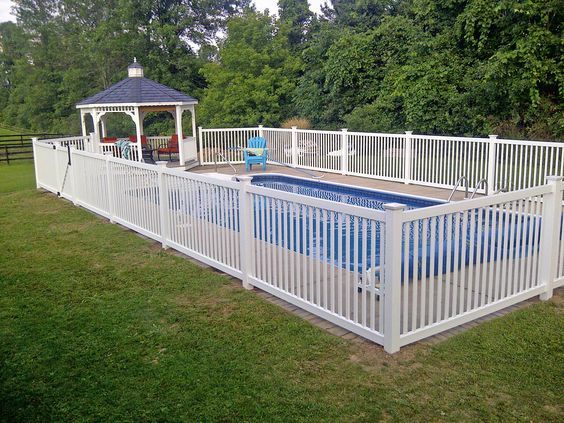 View the gallery below for more pool fencing ideas!